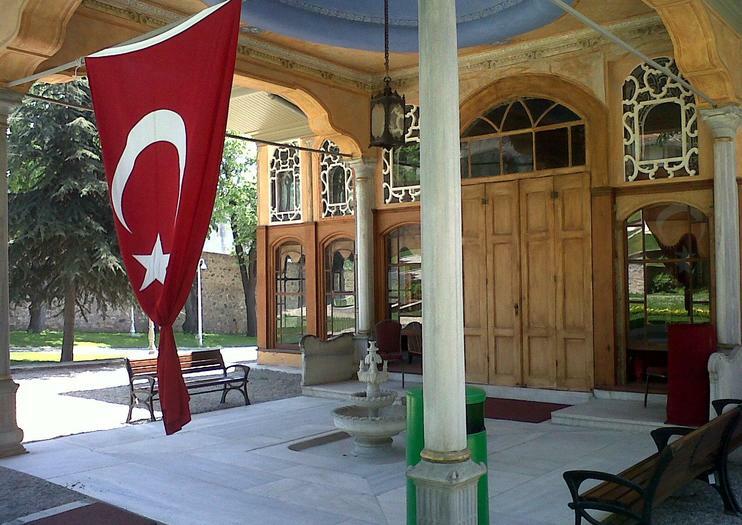 Aynalikavak Palace is a lovely Ottoman palace located in the Hasköy neighborhood of Istanbul. It was originally built under Sultan Ahmet I in 1613 and served as a summer palace and hunting grounds for numerous Ottoman sultans, who also expanded upon the original palace buildings and grounds. Aynalikavak Palace has intricate and ornate design to it both inside and out. The exterior reflects a traditional Ottoman Palace and has a golden hue and small central dome. Explore the interior and you’ll find an elaborate collection of Ottoman-style furniture and other housewares. A part of its original décor is also what gave the palace its name, as Aynalikavak translates to mirrored poplars; in 1718, Venice gave Sultan Ahmed III Venetian poplar mirrors after signing the treaty of Pozarevac. The sultan had these large, luxurious mirrors installed in the palace. Aynalikavak Palace is located on a hill overlooking the Golden Horn and taking a ferry along the Golden Horn is the easiest way to get there. From the Hasköy stop, it is a 10- to 15-minute walk to Aynalikavak Palace, though it can get a bit strenuous as it is uphill. Buses and taxis are also available to take you from the dock to the palace entrance. Aynalikavak Palace is closed Monday and Thursday and is open the rest of the week from 9:30 a.m. to 4:30 p.m. Discover the vibrant meeting point of East and West and experience Istanbul through all five senses with this action-packed Super Saver, combining two of Istanbul’s best-selling tours into one great-value package. First, enjoy a full-day sightseeing tour, including lunch, a 2.5-hour cruise along the Golden Horn and Bosphorus, and visits to the Spice Bazaar, Dolmabahçe Palace and the Rüstem Pasha Mosque. Next, savor the tastes of Istanbul on an evening food tasting tour and tuck into mezes, simit and kebabs, accompanied by live Turkish music.